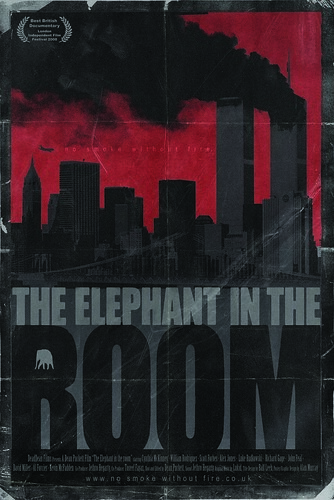 Filmmaker Dean Puckett has just made available a high quality version of his short film 'The Baby Elephant'; a 30 minute film made up of deleted scenes from the feature length documentary 'The Elephant In The Room' shot over the anniversary of 9/11 in New York 2007. It follows below in 4 parts. Visit nosmokewithoutfire.co.uk to watch the multi-award winning documentary The Elephant in the Room for free. You can also subscribe to Dean Pucketts youtube channel here. East Anglia Truth is pleased to announce the dates of the "Elephant in the Room" East Anglia Tour. On the 11th of September this year We Are Change UK and Truth Action London will be holding a protest outside the US Embassy in London. This is a call to everybody in the UK who questions, doubts or disbelieves the official story of 9/11 and who rejects the war on terror and war on freedom which defines our time, to make themselves counted and join us there. The stakes now are too grave to sit at our computers lamenting the state of the world and the time has come to become a part of the change we long for. Brand New Exclusive Clip !!! Check out this exclusive podcast produced by London Sound Posse and recorded at the second screening of the new Documentary "The Elephant in The Room" by Dean Puckett. Featuring reactions to the new film from members of the public, We Are Change UK, East Anglia Truth, Oscar winning Director Mike Leigh, former employee of the Ministry of Defence Nick Pope and closing with an interview with the director. Dean Puckett's 'The Elephant in the Room' was recently reviewed on Press TV an English language international television news channel based in Tehran. Featuring clips from the film including personalities such as Richard Gage & Alex Jones the reviewers neglect to mention the final third of the film that focuses on the plight of the criminally neglected first responders. Despite this a great deal of 9/11 Truth made it into a lot of homes. Interview with Dean Puckett where he talks about his award-winning film 'The Elephant in the Room'. Featuring clips from the film including his arrest live on Fox News plus 3 times Oscar nominated director Mike Leigh, who attended one of the screenings, gives his view too. I was Interviewed by my good friend and Ex Media studies Teacher Jason Ramasami about the process of making my New Film The Elephant In The Room. To the people from the States that have emailed me asking when you will get to see it. Please be patient I'm working on it!